Jodi Sta. Maria (PHOTO BY: Xylaine Paderanga). YEARS after separating from husband Panfilo Lacson Jr., Jodi Sta. Maria, 34, finally revealed the painful experiences she went through and admitted the addiction that suppressed her emotions. And despite the steady rise of her career in show business, the “Dear Other Self” main star defines fame and fortune as empty. “My life was such a mess na hindi ko alam kung saan ako magsisimula. Wala nang magmamahal sa akin kasi separada na ako, segunda mano,” she said, recalling how she felt when she filed for annulment. She spoke during The Perfect Love Conference held last October at the Convention Hall of J. Centre Mall in Mandaue City. She was married to Lacson for five years. The couple has a child, Panfilo III or “Thirdy,” now 10 years old. According to Jodi, their immaturity was the root of their failed marriage, which affected their son. “I got married at the age of 22. The marriage lasted for five years. Siguro, inisip ko, nagpakasal kami at a very young age na we didn’t really know each other. Instead of bringing out the best in each other, it brought out the worst in us. 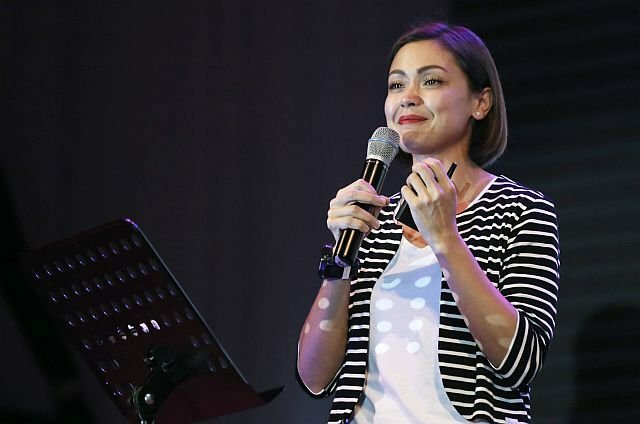 In 2010, veteran actor Connie Reyes invited Jodi to attend church, but it was only in 2014 that she obliged to go with her. Since becoming a Christian, she has already quit her vices—smoking, alcohol and drugs—in obedience to the sacred scriptures. Sta. Maria is nominated as Best Actress to the 2016 International Emmy Awards. She appeared in several soap operas such as the remake of “Pangako Sa ’Yo,” “Tabing Ilog,” “Noah,” and also in blockbusters “The Achy Breaky Hearts” and “All You Need is Pag-ibig.” She is now working on the film “Dear Other Self” which also stars Joseph Marco and JC De Vera.